MOVE RIGHT IN!! Beautifully renovated home. Three bedrooms, 2 baths with gas heat and central air. Brigantine Island is a lovely beach and bay jewel. Once somewhat hidden in the shadow of Atlantic City and other shore points further south, Brigantine is continuing its storied evolution. After the construction of the Borgata Hotel and Casino, expansion of Harrah's, and opening of the Golden Nugget just over the Brigantine Bridge, Brigantine real estate is where many casino employees reside along side with gorgeous beach and bay front homes. 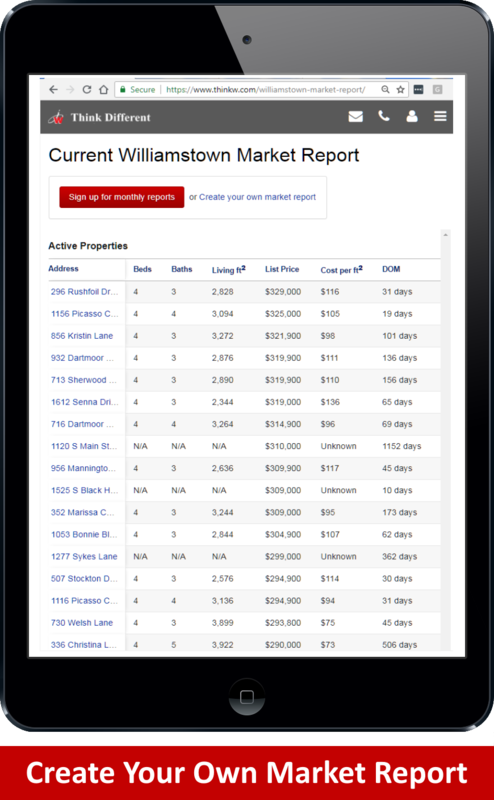 And as the real estate cycle demanded higher values, a wave of new construction entered the local market. The trending bring-down of the old bungalow homes continues, and are being replaced with the higher profile new homes. Brigantine continues to transition. After years of seeking a balance, Brigantine is coming to grips with its new reality — second homes, tourism, and its new position as a bona-fide Jersey Shore Destination. The debate continues. From a pure economic view, the strategy is working. The reconstruction of Brigantine continues — robustly, more second homes and more tourism has equaled higher property values. Brigantine is 6.9 miles long. Most people are familiar with the southern end where there's approximately 8,000 residential units, 65 blocks of beach front development with public beaches. The year-round population is around 10,000 residents, while the summer vacation population swells to 30,000+. Swimming is permitted at the beaches from June 15th to Labor Day during the hours of 10:00 am – 5:30 pm, while the lifeguards are on duty. 4 Wheel on the Beach. Yes, one of the few beaches that allow 4-Wheel Drive Vehicles. Must get your permit. Permits are valid from January until December. Regular Permits are in the range of $200.00 per year, discounts are available to those who qualify. 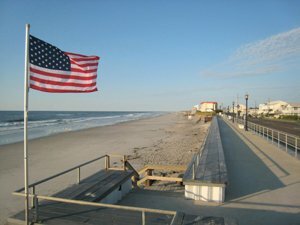 4 x 4 vehicles only, beach permits can only be purchased from the Brigantine Community Center located at 265 S. 42nd Street. No ATV's, just four wheelers. Dogs on the Beach. From October 1st to May 29th, dogs are allowed on the South Beach so long they are on a leash. Dogs are allowed on the North-End Beach any time. The gorgeous North End features The Brigantine National Wildlife Refuge, there are several miles (about a 3 mile walk to the tip) of near pristine. white sand beaches and coastline just as it appeared to native Indians would have experienced. 4 Wheelers are allowed here as well, a favorite for beach walkers, and beach fisherman. In the same area are thousands (20,000 acres+) of protected wetlands assisted by the (NJ Green Acres Program) provides an annual-temporary home to dozens of migratory birds and hundreds of unique native animal and plant species. Brigantine Students in Pre-K, Kindergarten through eighth grade are served by the Brigantine Public School District. Brigantine High School students attend the Atlantic City Regional High School, which also serves students from Margate, Longport, and Ventnor. The high school is located at 1400 Albany Avenue, Atlantic City, and educates approximately 2,000 students. Here’s a real walk down memory lane! 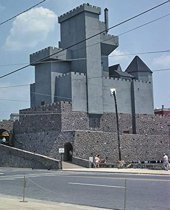 Rising out of the ocean was the enormous gray and wildly popular haunted house attraction…the famous Brigantine Castle. 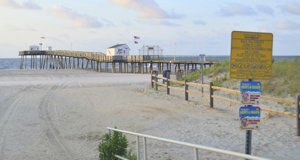 Its original location was at the pier on the corner of 14th Street and Brigantine Avenue. Even more amazing actual construction of the castle only took 4 months! Click Here to see the Original Television Commercial! Constructed in 1976 by visionary and marketing genius Carmen Ricci, the castle drew millions of visitors annually. The castle was too successful! Ridiculous…Right? Due to huge attendance — spurred by an excellent marketing plan, including great television commercials…I can still here the pipe organ in my head! — The castle was a victim of its own success. The castle’s popularity lead to its speedy demise. First were complaints of crowds larger than sanitation facilities could accommodate. Next the municipality somehow was successful is forcing ownership to reduce tv marketing? Then higher safety standards stemming from a deadly fire at Great Adventure created the need to upgrade the general safety standards of the castle. Then a devastating storm in 1982 damaged the pier and castle. These events caused the closure of the castle in 1984. Mr. Ricci sold it in 1987. And later that year, under new ownership and just prior to demolition, the pier and castle burnt to the ground. All that remains are pylons protruding out of the ocean on 14th Street and memories of one of the greatest haunted attractions…”EVER!” on the East Coast. The City is bounded by the Atlantic Ocean, Brigantine Inlet, Absecon Inlet and inland waterways. The island is 6.39 square miles in area, half of which is owned by the State of New Jersey under the Green Acres Program. The Edwin B. Forsythe National Wildlife Refuge, a 20,000-acre national park, lies three miles northwest of the City. The Brigantine Hotel, still standing on the Atlantic coast side of the island, was an early integrated hotel starting in the 1940s. Brigantine Lighthouse – Constructed by the Island Development Real Estate Company in 1926 as part of an effort to attract residents to the island, the structure was too far from shore and too low to be used as a functioning lighthouse. Marine Mammal Stranding Center – Established in 1978. its the state’s only marine stranding center. The center rehabilitates and releases stranded marine mammals. Some of the rescued animals are: whales, dolphins, seals, and sea turtles. 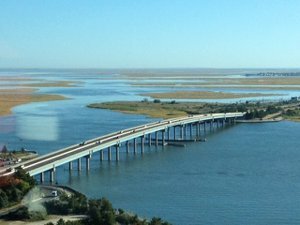 The only road to and from Brigantine is New Jersey Route 87, locally known as Brigantine Boulevard. The Justice Vincent S. Haneman Memorial Bridge is the only way on and off the island. The original bridge to the island that was constructed in 1924 was destroyed in the Great Atlantic Hurricane of 1944. The current bridge was constructed in 1972. Built in 1927, the barrier island course is truly breath-taking. Inspired by Scottish Links design, the Brigantine Golf Links layout features the gorgeous surrounding salt marshes, native wildlife, and sometimes very stiff winds. 18 holes with prevailing the sea breezes makes this course very challenging. Not many trees, but plenty of sand and rolling terrain. A general good mix of nature with some fairways lined with residential homes.